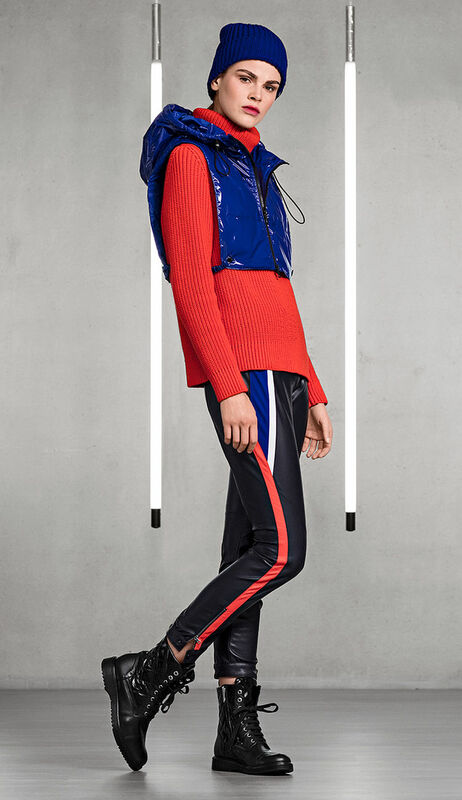 The spirit of sport and Bauhaus make a dynamic combination. 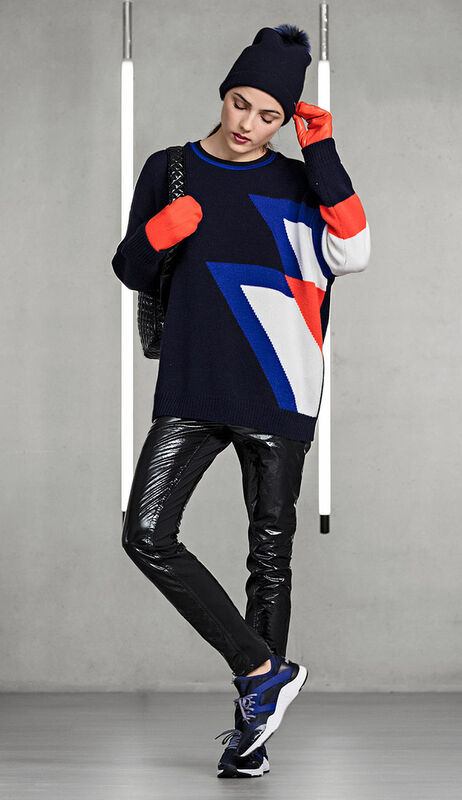 Graphic arrangements set sporty accents and create a modern style. The spirit of sport and Bauhaus aesthetics meet in a dynamic fusion. Graphic arrangements add sporty aesthetic accents for a modern style. 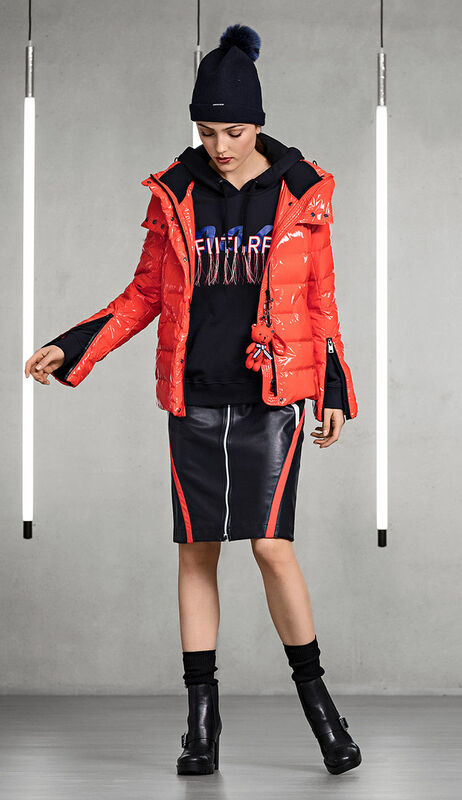 Shiny gloss combined with knit intarsias or fun nappa with graphically arranged colour combine panels while sporty details complete the looks. Further highlights are intricate jacquard skirts with a tiny fringe and devoré dresses with transparent and velvety details. Multi-coloured horizontal stripes and a mosaic-leopard print correspond perfectly. They embellish turtleneck sweaters and dresses. Sweatshirts with embroidered tassels as well as cardigans and sweaters with quilted nylon are boosted to essential »it« pieces. Accessories are versatile: knitted hats in matching shades, booties with lambskin trim and gloves made of milled wool and leather are important. Printed robots on bags and fun robot pendants add a playful dimension to the looks.